My sisters and I are not exactly the most feminine or dainty ladies around. 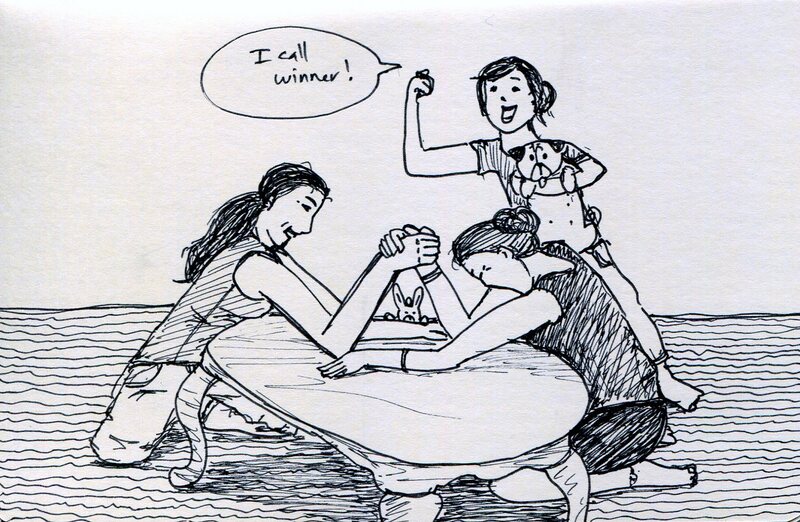 And for some reason, any time we get together and get bored we resort to arm wrestling. No clue why. We always have. 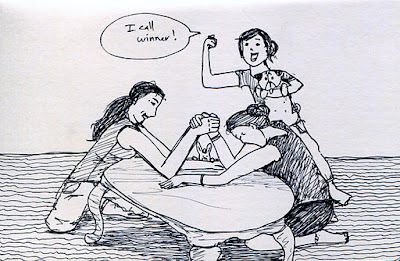 Except now that we're all adults we pair the arm wrestling with numerous glasses of wine. Like real ladies.